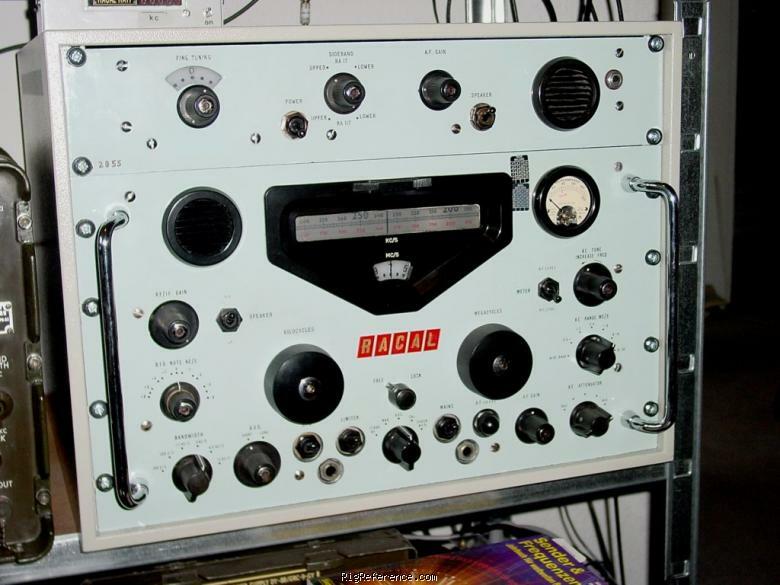 The Racal RA.17L is a shortwave communications receiver. The 1st version started in 1957. Often it is called the British pendant to the Collins R-390. There are supposed being build more than 10.000 receivers of the various version of RA.17. The RA. 17 (Mk1) was the first professional receiver using the Wadley-loop design. Less than 50hz/hr drift after warm up under constant supply and temperature conditions. The best receiver I had. In 1983 I bought the Racal 17L (0,5 - 30 MHz)at Hoka Nieuwe Pekela. The receiver was used by the Dutch navy. In one word an excellent receiver. Very sensitive, selective and no "overload" at all. It has no problems with spurious signals or images. The receiver is very quiet, even by modern standards and seems immune to overload. After one hour the Racal is extreme stable. But very heavy, about 35 kg's. It's build like a (centurion) tank! And of course the smell of the tubes, very nostalgic. But later when my wife and the first child came there was not enough space for my Racal and now it's spending his days in a little room. And now I use rather "modern" receivers like the Icom R70, R75 and Kenwood R100. But I will keep it forever and one day the Racal 17l wille be "renovated". It's a wonderful piece of equipment and when you buy one and have the room for it, buy it!!! It outperformes many modern receivers. Have two L types , although not as good as the later RA17 C16 types or the RA 117's . Better audio plus a real S-meter compared to a marl 1-2 or L type . Estimating the value of a rig can be challenging. We collect prices paid by real hams over the years to help you estimate the current value of the Racal RA-17L. Just bought or sold this model? Let us know what you traded it for and help other ham operators!